The Karmapa continued his studies within the Kagyu tradition by returning to Palpung and there receiving two comprehensive series of empowerments and teachings from the Tai Situpa: the "Treasury of Kagyu Vajrayana Teachings" and the "Treasury of Sacred Instructions". Around this time, while visiting Pangpook monastery, it is said that not only did both the Gyalwa Karmapa and the Tai Situpa leave footprints in the rocks, but so also did the Karmapa's horse and dog! Some time later, the Karmapa, still based at Palpung, received a full transmission of the teachings of the Sakya tradition. The 18-year old Karmapa returned to Tsurphu. From 1941-1944 he spent much time in retreat, while in the world at large World War II was being fought to its conclusion. Tsurphu monastery was extended during this period. The Karmapa then went on pilgrimage to Samye, to Lodrak in the south of Tibet where Marpa had first introduced the Kagyu teachings, and then on to Bhutan . In 1945 the Tai Situpa gave him full ordination vows (bhikkhu) and further comprehensive Kagyu teachings, on the giving of empowerments. He also received from the great Nyingma master Urgyen Rinpoche complete transmission of the Nyingma teachings of Terton Chojur Lingpa, who had made important predictions about the lives of the Karmapas, up to the twenty-first. In 1947 he travelled to India, Nepal and Sikkim - an independent kingdom at the time and now part of India. His pilgrimage included the major places of the Buddha's life: Lumbini, just inside Nepal, where the Buddha was born, Benares (Varanasi) where he first taught and Bodh Gaya, the place of his enlightenment. Upon his return to Tsurphu in 1948, he received the final transmissions of the Kagyu teachings from two gurus: the Second Palpung Kongtrul and the Eleventh Tai Situpa, who was now very advanced in years . By this time, his training was complete, not only in the Kagyu, but also the Sakya and Nyingma traditions. Indeed, in 1953, he was to pass on the Chojur Lingpa teachings to Mindroling R inpoche, head of the Nyingma tradition and one of Tibet's "four great lamas". By the 1950s the turbulence that was to end up as the takeover of Tibet by China was already stirring. 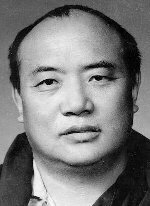 In 1954, the Karmapa, the young Dalai Lama and other leading representatives of Tibetan Buddhism went to Peking in response to an invitation from the Chinese government. While there, the Karmapa had a vision of the reincarnation of his teacher, the Tai Situpa, who had passed away in 1952, and sent instructions to the Tai Situ's monastery at Palpung. The child was found, exactly according to his instructions, and he enthroned him at the Palpung seat on his return journey from Peking to Tsurphu. During his stopover in eastern Tibet, several hundred Kagyu reincarnate lamas gathered around him and, obviously aware of the troubles in store, he transmitted to them many teachings and empowerments, as well as giving extensive ordinations. During this time, he gave the most secret and powerful protector empowerments. These are given only once in a lifetime and to only thirteen lamas. Of the hundreds of tulkus present, some relatively unknown ones, such as Akong Tulku of Drolma Lhakang, were summoned secretly to be part of the thirteen. Very interestingly, these were all later to play key roles in establishing the buddhadharma in the world at large. The Karmapa returned to eastern Tibet in 1955, to act as a peacemaker between the local Tibetans and the Chinese military. He brokered a five-year peace accord. He travelled on to Sikkim and from there continued on pilgrimage. Buddhists worldwide had agreed to lay aside their difference s over the dates of the Buddha's life and to celebrate the 2,500th anniversary of Buddhism in 1956. This was based upon the date marked upon the historic Asoka stone pillar, which has Lord Buddha's passing from this world as (the equivalent of) 544 BCE. It was not only the celebration of a round number of years but also that of the beginning of the sixth era, as the Buddha had predicted the evolution of his teaching as taking place in ten 500-year periods. HH the Dalai Lama, HH the Karmapa and HH the Panchen Lama visited India to participate in the anniversay at the invitation of the Indian Mahabodhi Society invited. The Karmapa and his party revisited the holy sites of India as pilgrims. During this visit to India and Sikkim, he renewed his acquaintance with his disciples Tashi Namgyal, the Maharaja of Sikkim and with Azhi Wangmo, the Bhutanese Buddhist princess. The Maharaja invited him to visit Rumtek, a small monastery in Sikkim which the ninth Gyalwa Karmapa had founded at the end of the 16th century. His Holiness was unable to accept his invitation at that time but said that he would go there in the future, when it would be needed.